CPF minimum sum (MS) will be revised upwards to S$131,000, up from S$123,000. There are many ways to default. extending the full payment dateline and let inflation do the rest of the job. If our government is really concern of inflation hitting our pension fund, she can easily raise CPF interest rate, or allow us to purchase gold as hedging. Instead, PAP is now locking up our monies while turning its money printing press full steam ahead. Singaporean are the most avid savers in the world. However, I am sure Straits Time will trumpet Singaporean "over-spend" and have left nothing for retirement. Median Income of Singaporean is still a "Top Secret". The data is likely to be a big scandal to PAP. MOM website and Singstat does not even publish timer series income of resident (Singaporean + PR). 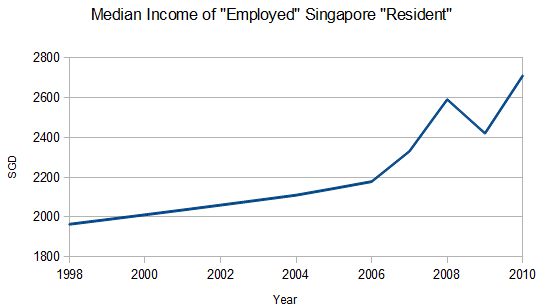 But I have managed to reconstruct the Singapore "Employed" "Resident" median income from various sources. The data was obtained when MOM megaphone spins that wages have now hike through the roof, in the Singapore paradise. I shall analyze the data in next few blogs. For a fair large part of 21th century the unemployment rate of Singapore hovers above a whopping 5%, when PAP is trying very hard to import foreigners. You would comprehend the crooked logic of this economics nonsense if you are well aware that PAP is Satan's agent in Singapore. A fair significant reason for foreigners to be here is to create unemployment. First, to the rich, at least 5% of the workforce must be keep miserable by unemployment. A full employment rate will drive up wages and emasculate the ability of managers to dominate. Prostitute economist euphemism this as Natural Rate of Unemployment, which is currently being taught in high school economics all over the world. How about under-employment and part-timers? They will never be captured to make sure PAP looks good. While Europe and US has similar policies in place, there is nevertheless instituted social welfare system. In Singapore, the propaganda machine is perpetually on full blast accusing the poor "lazy", "stupid", "choosy". To justify structural unemployment creation, PAP tells all sorts of big lies. Singapore is a paradise. So loser failed because of their own fault. 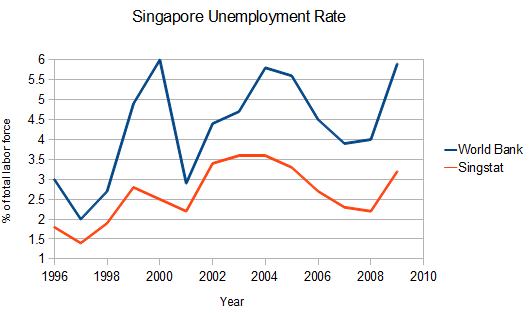 Downside massage the unemployment statistic by PAP through Singstat. Looking at Singstat statistic, one can always find numerous fine prints. Those fine prints are not to help you to understand statistic. They are there because PAP wants to tell a lie. While Singapore's population exploded more than 1 million from 1999 to 2009, less and less public housing are being built. 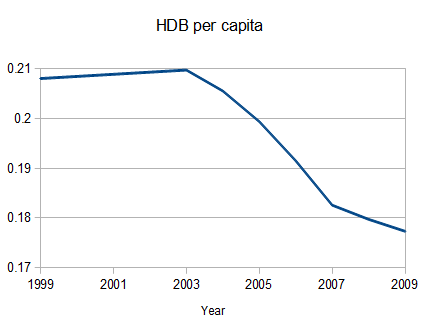 From 1999 to 2003, 50 000 HDB flats came online. Just 3200 flats came online on 2008. Together with government's money printing, low interest rate, one witness the biggest property bubble, during the biggest downturn since the Great Depression. Low fertility is a perpetual problem for PAP leaders. Hence they import foreigners so that our population grows at the rate -- equivalent to a total fertility rate of 4 children per woman. Meanwhile Singapore total fertility rate hits new low of 1.16. Assuming the trend continues and Singaporean only breeds with one another -- then there will only be six 5th generation grandson for every hundred Singaporean. Two esoteric terms on my charts, Sibor and Prime lending rate. 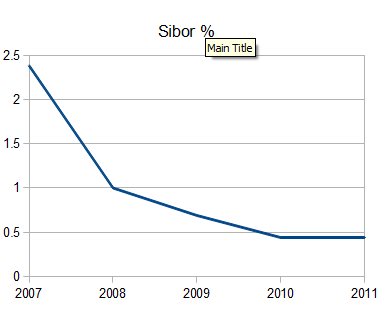 In short, Sibor is the loan interest rate banks charge to one another. Besides, bank pays an interest roughly around Sibor to our saving deposit. Prime rate is the interest what you Joe pay when you incur bank loans. The implication of low sibor is you savers are short changed by negative interest rate if inflation taken. 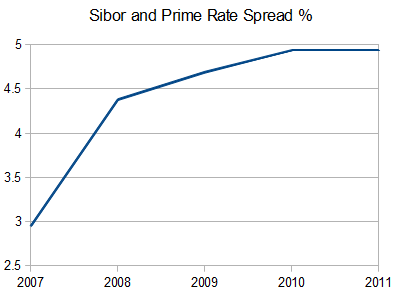 Sibor is 0.44% and prime rate is 5.38% as in 2011 May. Instead of lending 0.44% interesting rate to poor people, our country is lending 5.38% injuring the poor. Instead of jailing those criminal bankers and speculators, we are giving them cheap monies of 0.44% interest so that they can further screw us. The low Sibor rate may not be entirely the government's fault, but definitely our government is able to lower the prime rate, selectively, for the poor. A very simple way to offer low interest rate to the needy is for HDB to reduce the interest of mortgage to sibor level. By not doing it, our government is clearly guilty of robbing the poor enrich the elites. There are many reasons for the exorbitant healthcare cost in Singapore. Artificial scarcity in healthcare resource cook up by medical cartel colluding with PAP is one of the main reasons. In 1999, there were 11,742 hospital beds and a population of around 4 million in Singapore. 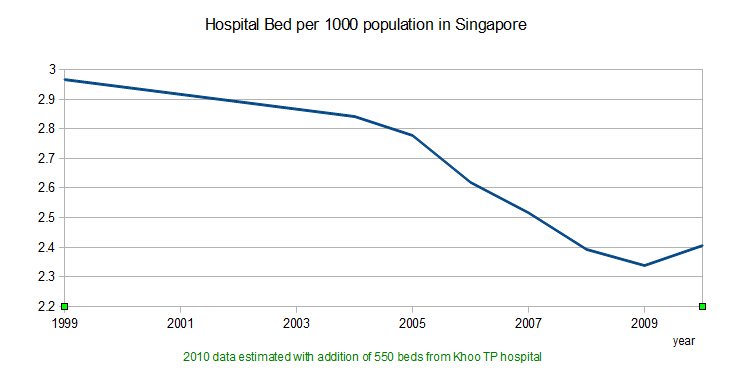 In 2009, the hospital beds actually decreased to 11, 663 while our population hit around 5 million. 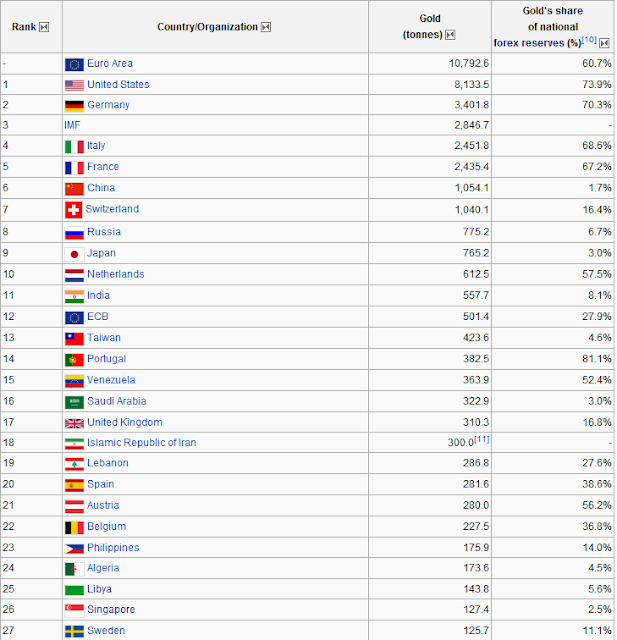 Our hospital bed ratio is behind Greece, Turkey, Argentina...etc and far behind the world average of 3.96. I wonder if PAP is reincarnate of parasite? Having received feedback from my previous blog regarding M1 money supply, I decided to delve deeper into the topic. I need to apologize as my previous blog is kind of extreme. Put it simply, Singapore dollar is created when Joe goes to MAS trading his foreign currency for SGD. MAS simply creates the money and give it to Joe. This is the reason our government claims SGD is backed more than 100% by FX. The real money creation mechanism is of course much more complicated and our government makes it clear that SGD is peg to the exchange rate of a basket of currencies. The US Fed starts to print money since 2008, MAS prints in tandem when hot monies flows to Singapore. This is the reason of hike in M1. In other words, US action has forced MAS to debauch our currency as well so as not to erode our competitiveness. Failed to provide proper hedging for CPF, for example they can give us an option to convert CPF monies to 100% physical gold. The elite should be well aware that Fed QE can be fully hedge by gold. 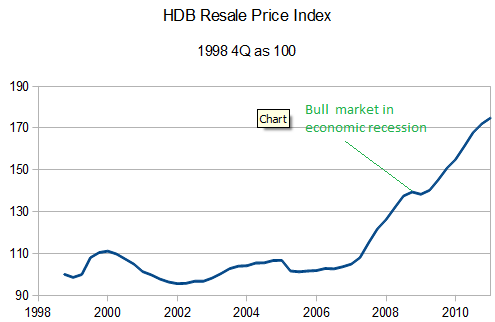 In real terms, Singapore's property is undergoing some of the most spectacular crash. But then, wait a minute, why "experts" fail to see this? Besides, ordinary Singaporean are complaining being priced out of real estate bubble. If we are aware that all economist are prostitute, then we would have no difficulties in understanding the truth. Indeed the average Singaporean incur incredulous amount of debt when they decided to own a home nowadays. The main reason is because in terms of gold, Singaporean wages are having an even larger crash. Gold, after years of downside manipulation by central bankers, the free market is reasserting itself. Measured in terms of gold, the wage deflation of workers clearly shows up. The financial engineering of government, banks and the spin of economist is right now on full power, all out to deceive the angry working class. The era of fiat money is coming to an end. Right now, the financial elite are trying their best to preserve the current rigged system. They will inevitably be overwhelmed by the free market. 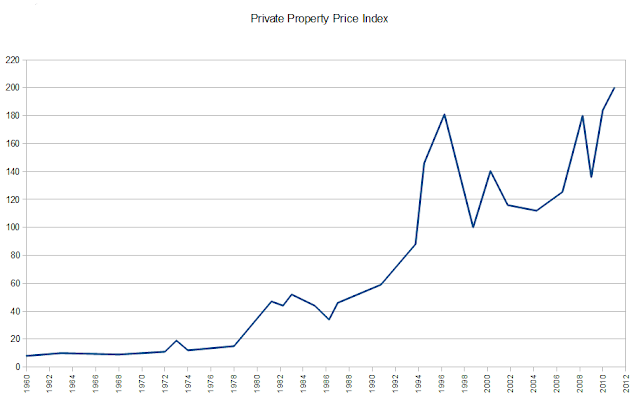 The chart illustrate increase of Singapore real estate compared 1960. 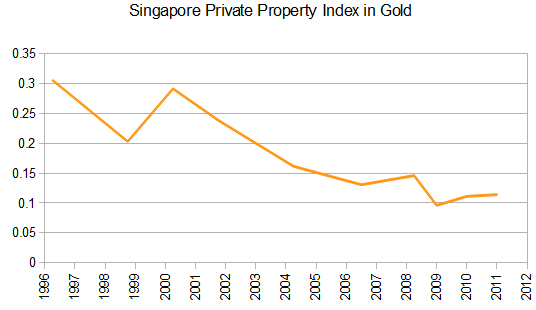 The property of 2011 is 25 times if priced in SGD, and 1.5 times if priced in gold, compared to property of 1960. That never stop the pundits from parroting that Singapore dollar is strong and inflation rate is low. The truth is all Singaporean are being duped and robbed by elites by means of currency debasement. Our M1 money supply increases around 8 times since 1990. The value of anything will simply show up when one prices things in gold. Maybe PAP can blame demand and supply again for increasing price level. So much for our government who claim that they "subsidize" public housing. Singapore property is 25 times the price since 1960. If priced in gold, you just need 1.5 times the amount of gold to purchase similar real estate compared to 1960. 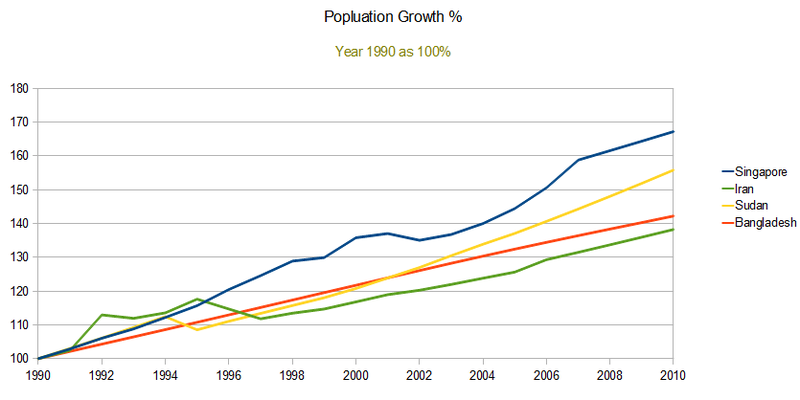 That is despite of a population increase from 1.5 million to 5 million over that span of time. People who have an insights on the hostility of bankers towards gold would have no difficulty in understanding the world economic structure. Alan Greenspan wrote an extremely elegant article about gold. Nevertheless, there are many critical flaws. 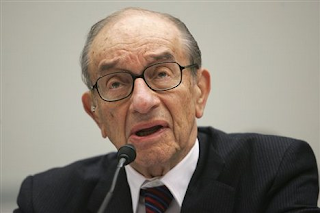 Greenspan claims that state uses fiat currency system to help the poor. This is manifested on the statement. Nothing can be further from truth. The fiat standard is being instigated and supported by the bankers aiming for plundering the peasants to fatten the elites. 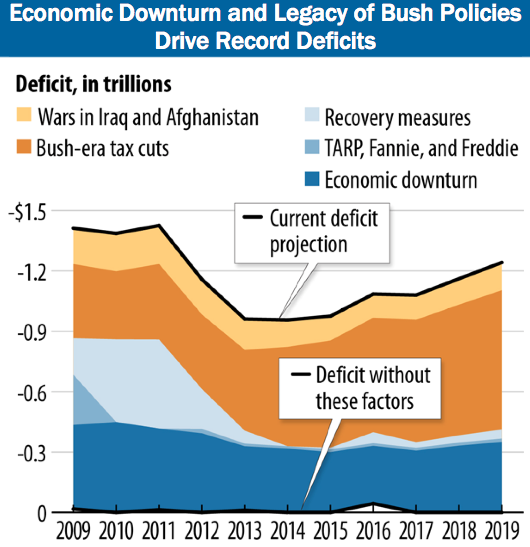 The budget deficit is in large part the consequence of disastrous GOP policy, in giving tax cut and bailing out the rich, and the reckless wars. When the GOP loses power, they advocate balancing the budget -- by cutting social service to the poor. 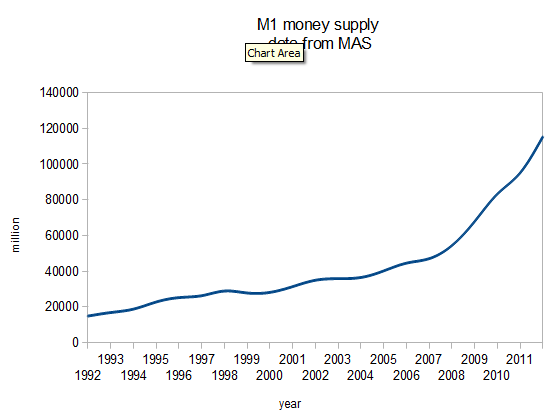 A look at M1 money supply of Singapore from MAS website. The PAP government does not publish M0, so we can only make a rough estimation of MAS printing press base on M1. Our M1 increases by almost 8 times in 20 years. Update : Refer to [link] for more balanced view. LKY prides himself in "defeating" communism in Singapore. LKY's ideology of social Darwinism, free market are in fact bunch of codeword for exploitation and slavery. Below is what Dalai lama got to say about Marxism. If Dalai Lama is Singaporean, he will be locked up in cage by ISD, simply because that his Marxist economic view hurt the rich. Remember Operation Spectrum? Of all the modern economic theories, the economic system of Marxism is founded on moral principles, while capitalism is concerned only with gain and profitability. Marxism is concerned with the distribution of wealth on an equal basis and the equitable utilization of the means of production. It is also concerned with the fate of the working classes--that is, the majority--as well as with the fate of those who are underprivileged and in need, and Marxism cares about the victims of minority-imposed exploitation. USA do not have any foreign reserve, she has gold reserve. That is enough to tell you what is wealth. PAP is forever proud of her foreign reserve. Unfortunately our foreign reserve is soon going to worth less than toilet paper. The flawed FX policy of LKY is going to wipe out our savings overnight. What is left after the inevitable collapse of USD is what Dr Goh Keng Swee has preserve through gold reserve. After these years since 1968, Singapore has only increase our gold reserve by 26 tonnes. This is what the LKY has been doing. Lets hope I am wrong, and lets hope that LKY is secretly accumulating gold reserve for Singapore. I am sure if Dr Goh is around, he will be doing that. Dr Goh bought Singapore's first 100 tons - around 101,600kg - of gold reserves from the South African Finance Minister, then Dr Nicolaas Diederichts, in a private exchange at the World Bank meeting in 1968. The minister reportedly went to Dr Goh's hotel room and turned up the TV volume before discussing the deal. After agreeing to sell the gold, he took out a United States dollar note and cut it in half, giving one half to Dr Goh. This was used for verification of identity when the Singapore representatives - Mr Ngiam Tong Dow and veteran banker Wee Cho Yaw - later met the South African sellers in Switzerland. And that's how Singapore obtained its first gold reserves, at US$40 per ounce. Our academia economist are bunch of hopeless prostitute. I was corrupted in my mind when took A level economics. By the time when I was around 30s, I then realized that our economics curriculum inculcate pandering rich and justify the economics oppression system. I am going to elaborate a few items below. In short, this law states real wages always tend toward the minimum level necessary only to sustain the wretched life of the worker. The economist fear-monger that full employment is bad as it creates inflation. But then everyone knows that "inflation is always and everywhere a monetary phenomenon" ( Milton Friedman ). In another words, central bank and government is the culprit of inflation and the people has to pay the price. The elite always has an interest in creating unemployment even if economy is blooming. Full employment will cause firm competing for labor resulting to increase in wages. In USA, the official policy is to put 5% of the people out of job. God will definitely not judge these elites kindly for their cruelty in destroying life of the peasants. 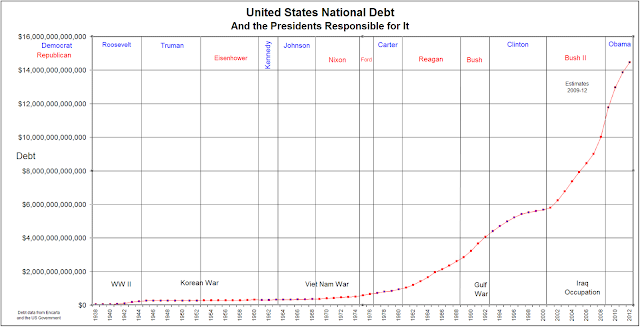 Have you wonder why government tries so hard to put people into debt. Even if the people are discipline, the government takes up sovereign debt on the behalf of people. In the environment of low wages, the rich is going burst because no one is going to buy their wares. The only way to perpetuate this low wage game is by debt. But ultimately, a tipping will be reached when all good collaterals are gone. 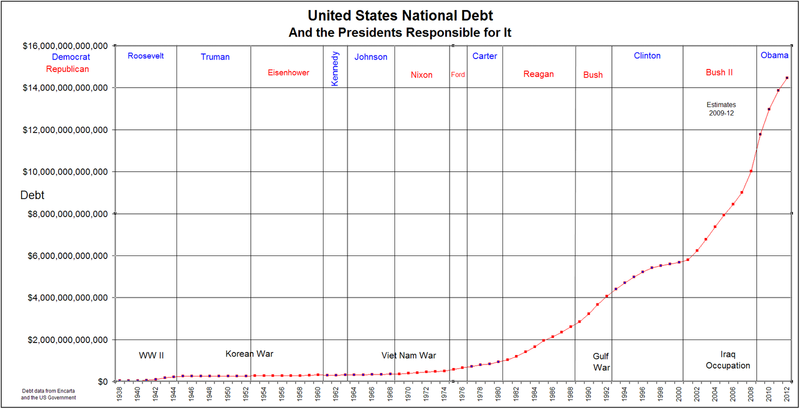 Next, the debt ponzi will go burst. That will bring everyone down. Singaporean is under bankruptcy siege by doctors and big pharma, "not so rich "Mauritian sing all the way for free health care. To put things short, our rentier elite is the cause of all our misery. As the insane CME margin hike for silver run on course, silver is playing out some of the most spectacular plunge of 29%. Rumors are strife that bankers are suffering huge paper loss in the silver bull market. In the latest ambush, the nefarious COMEX didn't simple make one margin hike, but rather a whopping five margin increase in ten trading days. Besides, the later margin hikes occur when silver is falling on a cliff. Henceforth, silver future is the least leverage-able. Below is taking from Jeff Nielson. We can also demonstrate the illegitimate nature of the CME Groups actions by viewing them over the longer term. As I noted earlier, raising margin requirements acts like “the brakes” for commodity markets. However, unlike any mechanical braking device, raising margin requirements can only be done once. As you raise the amount of funds which any/all traders must post with each contract from 20% to 30% to 40%, this progression can never be repeated. Thus, in frequently and rabidly raising margin requirements for the silver sector (totally out of proportion to any other market), the CME Group is using-up its “brakes” for this market. What happens when margin requirements reach 100%? The CME Group will have no means of any kind to restrain this market further. This means that all of these hikes in margin requirements (while silver remains far below any fair-market value) are illegitimate on a collective basis, because rather than “adding stability” to this market, the reckless managers of the Crimex exchange are wearing-out their “brakes” – much like the corrupt and intellectually bankrupt Federal Reserve has done in slashing interest rates to zero. As precious metal rises and fiat monies falls in value, be prepare for the transition period of painful wars, depression and even shortage of material well-being. At the end of the transition, we will see the destruction of USD as well as the Anglo-bank complex. I foresee an imminent worldwide food crisis in the near future due to global warming, over-population, peak oil and soil erosion. The crisis will hit Singapore badly. When the crisis runs it course, all food producing country will halt food export never mind how much monies we pay them. Are Singapore never be able to be self-sufficient in food production as what our propaganda spinned? What if PAP has been doing the right thing instead? Japan has 49,000 square kilometres of farmland feeding 127 million population. 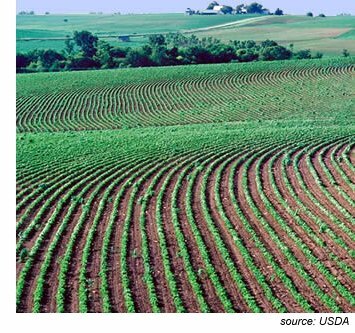 If our population is to be maintained at 2.5 million as per the 80s, we can be self-sufficient with around 950 square kilometres of farmland. Technology advancement will take agro-productivity further. The state of art rice seed is able to produce around 7,5 tonnes/hectare. Base on per capita consumption of 70 kg, a mere 230 sq km of farmland is able to make a 2.5 million population self-sufficient in rice. Unfortunately, the endless greed of PAP has decided increase our population without sustainability. Our off-spring will suffer the consequences. In the coming decades, food is going to be a major problem for city state like Singapore. When cheap energy runs out, Singapore as a state may no longer be viable. Even if we have money, our food supplier would prefer to keep production for themselves. And the transportation of food from its source of production would be so unbearably expensive we would no longer be able to afford it. Some cities can supplement by urban farming and high tech agro industries. For Singapore, the population density is too high due to the greed of our elite. Such is not possible to solve our problem. Excerpts from Peak Oil and Soil (August 1, 2007) by Eric Andrews. First is that readers may not realize the gravity of the situation concerning food and Peak Oil. There is a wing of the Peak Oil argument that statistically demonstrates how food presently can be said to be a form of oil. Numbers run as high as 10 calories of oil per calorie of food, which with 2,000 mile Caesar salads from California and 10,000 mile apples from New Zealand, is not hard to believe.